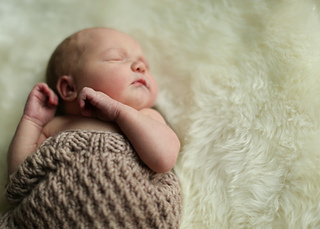 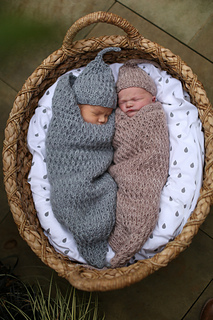 The transition from womb to world is a startling one—newborns love to be snuggled up tight! 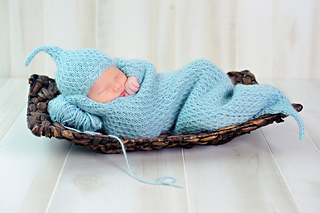 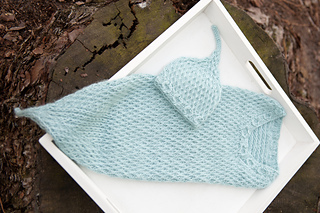 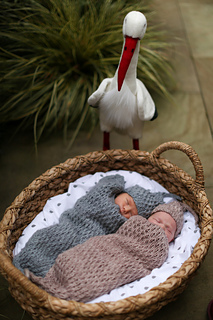 This layette set features an oh-so-cozy matching cocoon and hat with a beautiful textured stitch and simple cabled detailing around the edges. 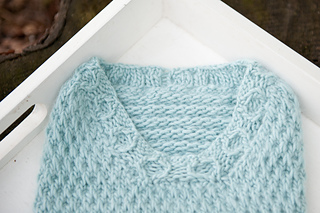 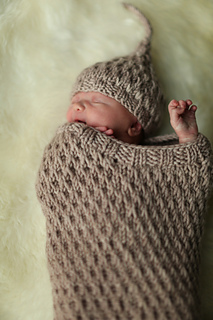 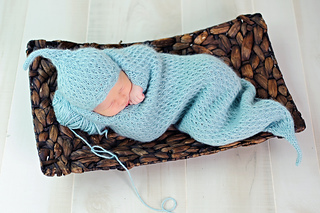 Cocoon features a dip in the front for baby’s face so that the back neck can be covered. 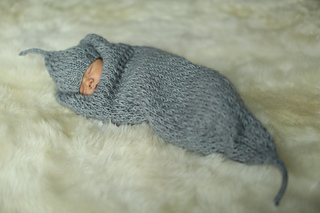 One size fits babies up to about 6 months—at which time they will be more about exploring than being swaddled. 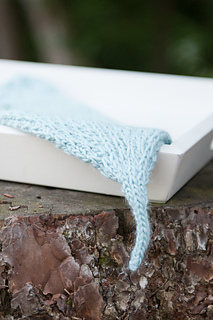 Cocoon is worked top-down with stitches picked up for the cabled border. 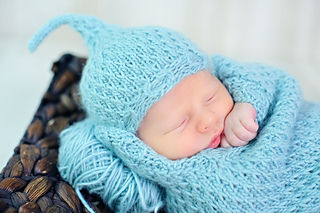 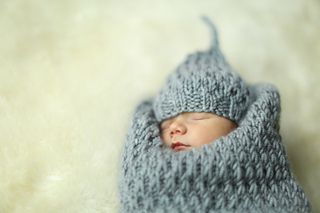 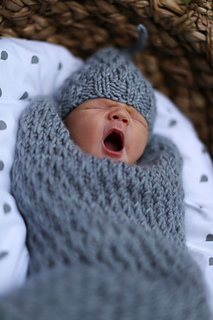 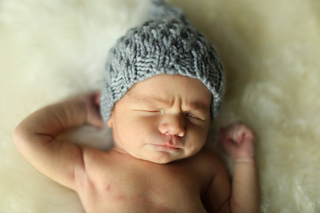 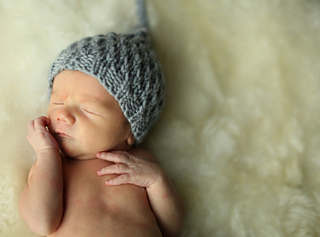 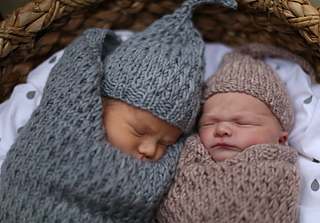 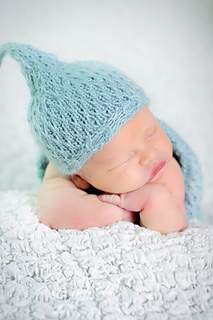 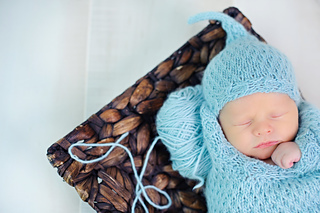 Hat is worked from the bottom up and shown in Preemie size on 5-day-old Oliver.